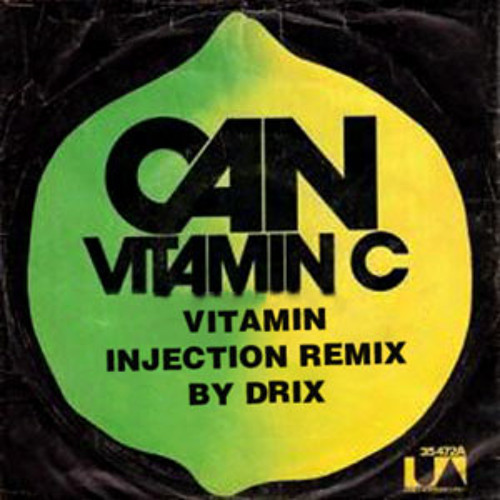 A DJ friendly edit of Can's fantastic song Vitamin C, with a little added punch, and locked to a 120 bpm, but still with the original groove. One of my favorite songs, now ready to rock the dancefloor! Hope you like it. - Drix FLAC: http://www.mediafire.com/download/hae4hmr7a2a2n69 MP3: http://www.mediafire.com/download/3kc28abri97jatc Other filetypes avalible on request. All encoded from the original wav file. U A U ! Tks!!!!! So good! The hypnotic effect of this track makes it seem like it's 13 minutes long! Great edit! I've heard this played out by some heavy hitters in the underground disco world and never knew where it came from. Keeps the spirit and vibe of the original, an artfully done edit. Thanks! fantastic track. glad, that i'm found this. merci. @whosgunnataketheweight: Thanks for the post, and really enjoy your page. Bookmarked! thursday party peaking AND grey gloomy sunday vibe - combined. great version of this tune!!!!!! Doooon't stoop! this is tooo greeat! DAMN it's GROOOOOVEY!